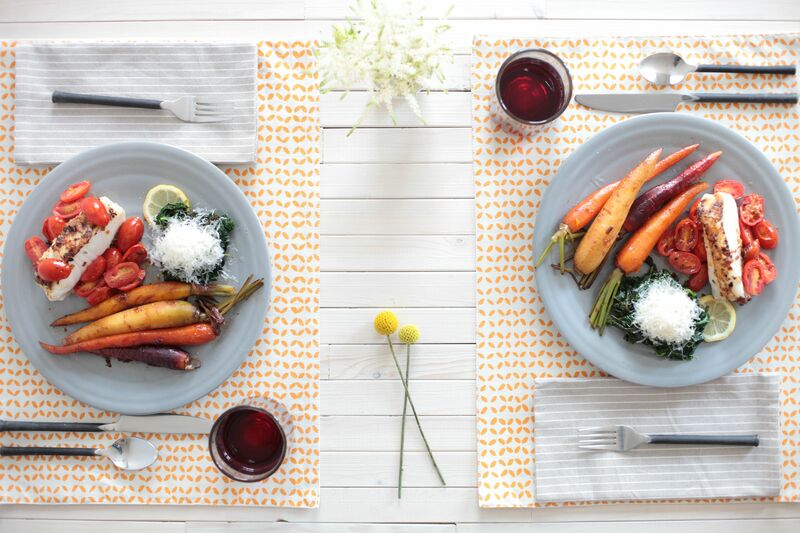 Contemporary Catering offers a variety of food for the big day, such as this delicious plate of sea bass with roasted tomatoes, carrots, and kale. photo by Amy Squires. 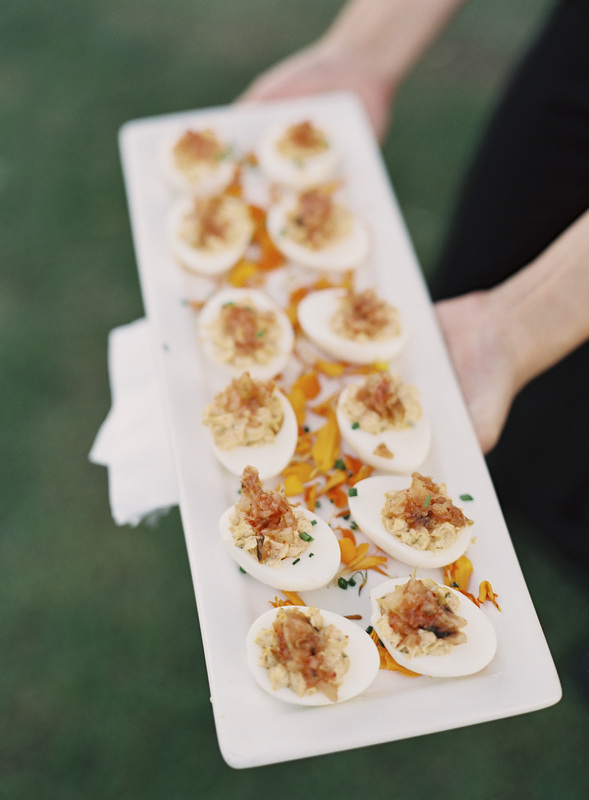 Wedding food doesn’t have to be bland. Take it from Contemporary Catering: your food should be as telling as any other day-of detail. Contemporary Catering offers a variety of food for the big day, such as this delicious plate of sea bass with roasted tomatoes, carrots, and kale. Wedding food traditionally has gotten a bad rap, but with so many innovative things happening with food right now, what are some ideas for couples who are looking to keep their wedding fare fresh and interesting? What are some recent industry trends? We’re finding that guests really like live stations, where the food is cooked to serve per their request. Some interesting stations we’ve done include a raw bar, wood-fired pizza station, panini station, burrata bar, dim-sum cart, and slider bar. Where should couples draw the line when planning a menu while still considering dietary restrictions and preferences? It’s important to translate any dietary restrictions into a beautiful menu, but couples should draw the line when the menu starts to pull too far away from the celebratory vision. Food, like anything on their wedding day, should represent the bride and groom. We make sure to carefully guide the bride and groom on a “style” of dining that can serve their preferences without forcing guests to eat something too unfamiliar. How do couples get a specialty menu that works for their budget without breaking the bank? We always recommend sitting down and engaging with your caterer. More often than not, the caterer can design a menu that is more cost effective than a couple’s initial selection.